Between MLK Day and Snow Days, the week flew by!! I’m always thankful for Friday though!! 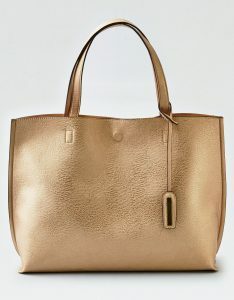 The Tote.. For Mac, calendar and lipgloss. So this tote was a gift from Aaron for Christmas. I’ve had a few weeks to test it out and I can confidently say – I. Love. It. It’s the perfect neutral gold. Also, it’s now on MAJOR SALE!! All kitchens must have a cute paper towel holder. 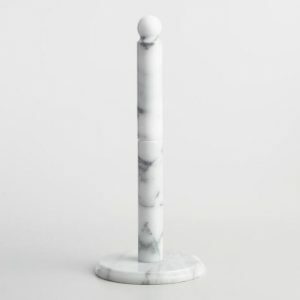 I need to freshen up a few things so I grabbed this marble paper towel holder. This is for an awesome price of only $12.99!! Comfy and neutral off the shoulder top is a go to piece in my closet right now! It’s very soft and has the cutest little cuff sleeves detail. You can dress this top up for a night out or down for a day running around town.